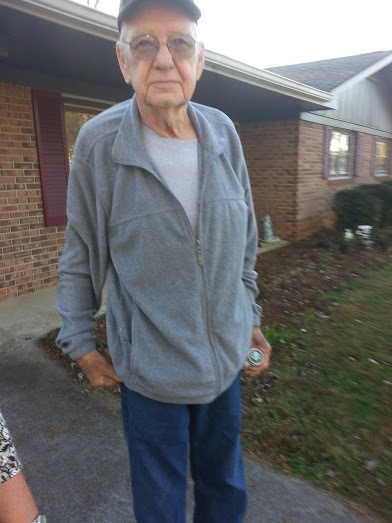 Miles Funeral Home in Hazlehurst announces the memorial service for James Ash, age 77, of Hazlehurst, who passed away Friday, April 12, 2019. Services will be held at 11 AM Monday, April 15, 2019 in Liberty Community Church 153 Liberty Church Road Hazlehurst, Georgia 31539 with Rev. Virginia Herrington officiating. Mr. Ash was born in Blue Ridge, Georgia. He was the son of the late Thurlow Ash & Gladys Davenport Ash. He was a retired owner of Ash Interprise and was a member of the Liberty Community Church. Survivors include: Wife: Norma Ash of Hazlehurst; Step-son: Ernie Knight of Hazlehurst; Son & Daughter-in-law: Wendell Ash (Christie) of Ellijay; Daughter & Son-in-law: Anna Maria Islas (Edgar) of Gastonia, NC; Sister: Carolyn Pankey of Ellijay; Grandchildren: Melina Ash & Kylie Ash of Ellijay, Madyson Islas of Gastonia, NC, James Whitmere of Chatsworth, Patrick King of York, South Carolina; Great-grandson: Colson Jones; Several nieces & nephews also survive.